Cue the bargain hunters: The Black Friday shopping marathon has begun. Millions of people are participating in retail's annual event, which began again this year on Thanksgiving. And, of course, most markdowns are available online. An online sales report from Adobe said more than $1.7 billion was spent online on Thursday, which is a 25% increase from Thanksgiving Day last year. The most popular products included Star Wars and Lego toys, iPad Air 2, Xbox and PlayStation 4. The Pie Face Game, used in a popular YouTube video in September, sold unexpectedly well, according to Adobe. Toys 'R' Us and Target were selling the game for under $15, but the game went fast and sites like eBay were listing the product for more than $50. Plenty of brick-and-mortar stores opened on Thanksgiving Day: Target (TGT), Walmart (WMT), Best Buy (BBY), Toys 'R' Us, Macy's (M), Kohl's (KSS), RadioShack and Kmart, among them. Other stores waited until Friday morning. 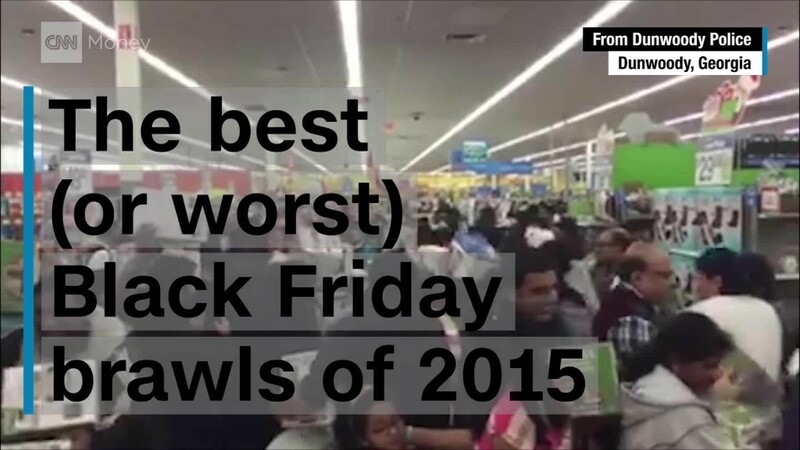 That list includes H&M, T.J. Maxx, Staples (SPLS), Barnes & Noble (BKS), GameStop (GME), Bed Bath & Beyond (BBBY) and Babies 'R' Us. National Retail Federation CEO Matthew Shay said on Friday mobile and web promotions helped boost online sales, and that stores attracted lines of customers by offering "unforgettable in-store experiences." The good news for retailers is that shoppers are ready to spend 25% more this year than last -- or an average of $369 each. That's according to a survey from consulting firm Deloitte. Reports on how many people shopped, and how much they spent, will be coming out over the next several days. 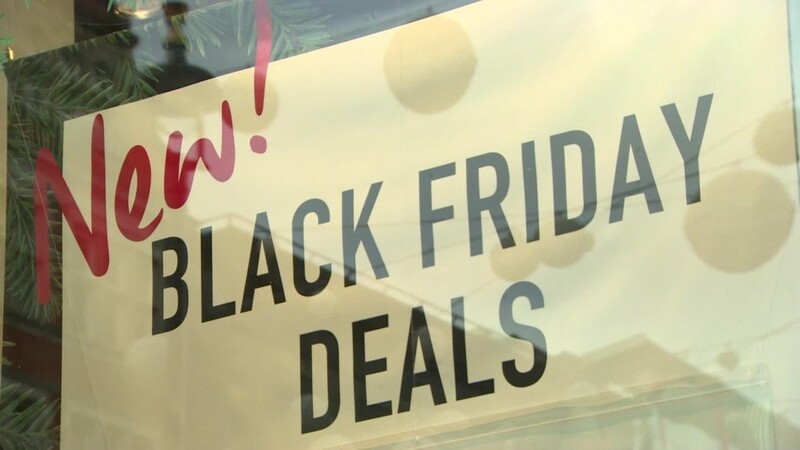 Adobe predicted online Black Friday sales would total about $2.6 billion, which is slightly lower than anticipated, though data from the first hours of the day indicated spending was up 15% from last year. IBM's live online sales tracker indicated average order value was about $140. The bad news: Videos filled social media with the bad behavior of some shoppers pushing, hitting, even kicking one other -- or store security personnel -- to get the hot items in limited supply. Walmart pledged many online deals this year; its Black Friday sales started online at 3 a.m. Thursday. But many shoppers still opted to brave the store in person. Some shoppers wandered through the aisles, looking at deeply discounted clothing and home goods. But many gathered in organized lines snaking through the aisles -- hoping to snag one of the tablets, flat-screen TVs and other electronics that dominated the store's Black Friday ad. Some of the most popular items included: a 32-inch Roku TV for $125, a 7-inch RCA Tablet for $28.88 and a Nintendo Wii U bundle for $249. Meanwhile hundreds of people were waiting in line for the chance to buy a variety of video games and DVDs -- some at 50% off or more. A handful of local police officers patrolled the store, along with dozens of employees -- many donning festive reindeer ears. Still, the crowds were relatively orderly as they waited around the store in lines roped off with yellow caution tape. "We do it every year," said D.J. Culver, 32, as he waited in line to buy himself the $28.88 tablet. "You really can't beat some of the deals." D.J. 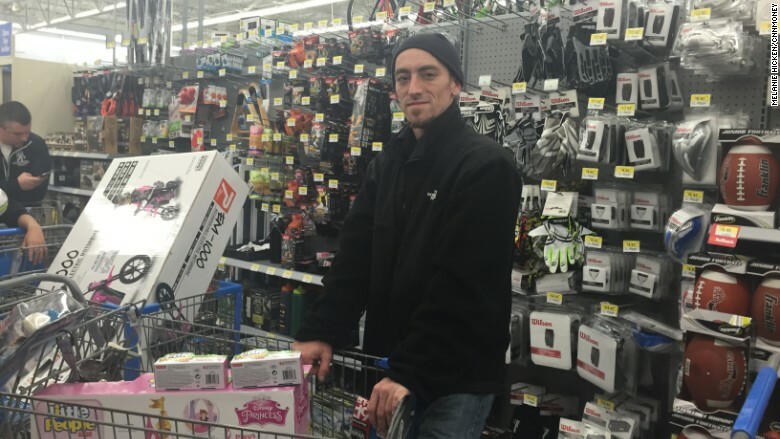 Culver shopped for deals on Thanksgiving 2015. "I have mixed emotions," said Mary Naccarato, who came to the store with her two teenage daughters in search of $200 in savings on the new iPhone 6s. "I passed up dessert with my family to do this." Seconds later, she learned from an employee that the store may not have any more of the phone in stock. While a few sale items were covered by a "1-hour guarantee," most had limited quantities -- meaning some shoppers left the store empty handed. 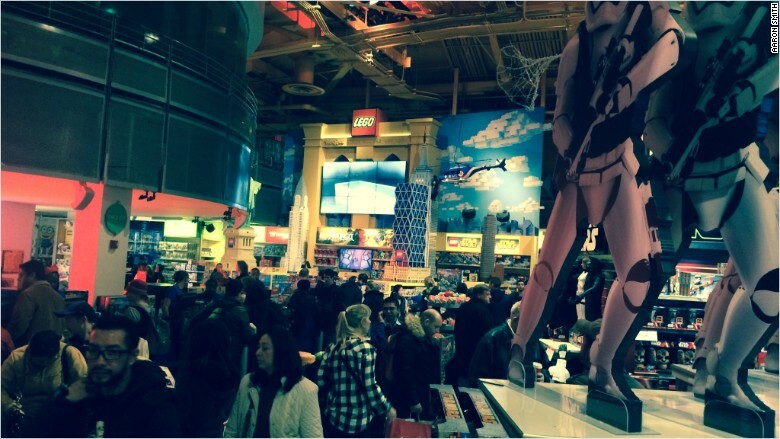 Crowds came to Toys "R" Us in Times Square the night of Thanksgiving 2015. In Manhattan, crowds came out in droves to the Times Square Toys "R" Us' final Black Friday. The store has been in Times Square since 2001, but it's not renewing its lease after it runs out in January 2016. While stores like Walmart and Toys "R" Us embrace the Black Friday tradition, shoppers shouldn't plan on heading over to REI. The outdoor and fitness gear retailer announced it will be closed on the biggest shopping day of the year.